The old saying goes ‘give me a child until they're seven and I’ll give you the person’. The Maverick Festival is in fact in its eighth year and it’s safe to say that the evolution into the UK’s premier comprehensive roots music event is now complete, subject to the ongoing flourishing of this Easton Farm Park gathering. In excess of 50 acts descended onto this quirky venue which is surely unlike any other on the festival circuit. Amongst the home grown talent were the usual guests from Canada and America with this year being joined by a couple of notable invitees with an Australian background, albeit totally absorbed in Americana music. It is this complex genre which unites all the performers as they explore many of its facets with extraordinary depth. Personally this was a sixth pilgrimage from the industrial Midlands to deepest Suffolk and there is an unrelenting appeal derived from taking in a selection of largely unsigned independent artists raising their game for a dedicated and appreciative audience. The downside of any assembly of so many acts crammed within a full day, previous evening and following morning is the inevitable clashes. So before the 2015 analysis is launched, a commendable mention is offered to Amanda Rheume, Ben Folke Thomas and Miriam Jones. All have been previously featured and will no doubt cross my path again in the future. 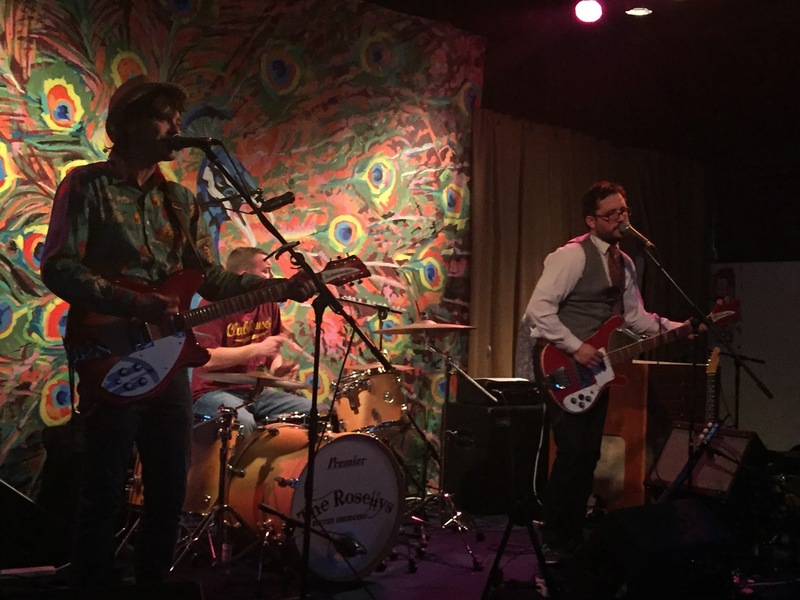 Likewise newly signed Clubhouse Records band The Rossellys just missed the viewing cut on this occasion, but further coverage of them is lined up in the near future. So with a handful of apologies out of the way, attention turns to reflections on the weekend which contained the most glorious festival day weather-wise amidst a few minor unwelcome meteorological interjections. In a slight diversion from previous reviews, the challenge this year was to tie the event into an A-Z piece which has been pulled off with a touch of stretching and creative license. Anyhow all acts seen get a mention as this once again-excellent festival is re-lived. 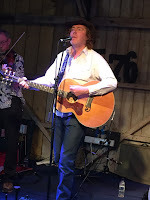 A is for The Alan Tyler Show who played a thirty minute set in the Barn on Sunday morning, kicking the day off with a blend of classic country covers and neatly crafted originals. 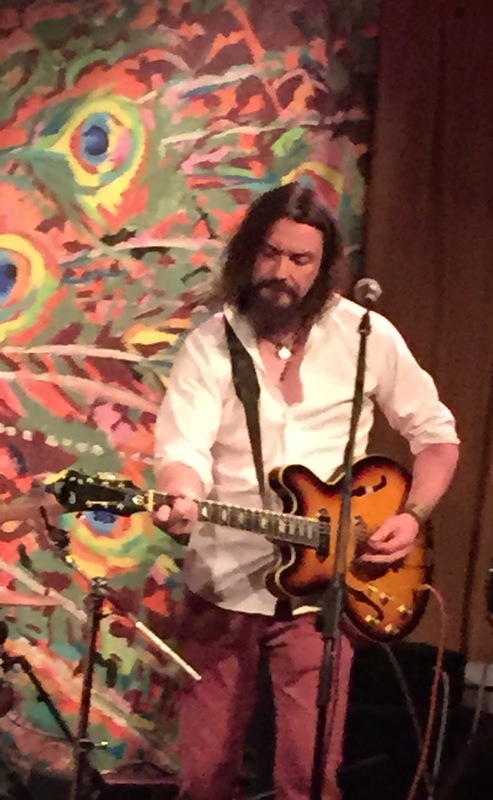 The Rockingbirds frontman was appearing in a trio format for his sets which is also reflected in the new album. Not on the record but delightfully heard in the Barn was a version of Merle Haggard’s ‘Sing Me Back Home’ and the scene was set for a laid back collection of tunes to herald the festival’s shortened final day. 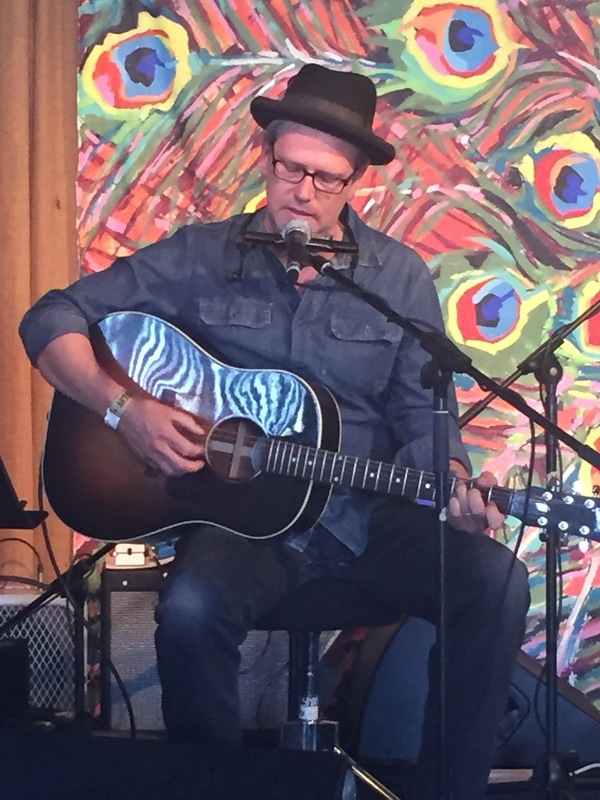 B is for Billy Bragg who is possibly the festival’s most widely known booking in the eight-year tenure of its existence. 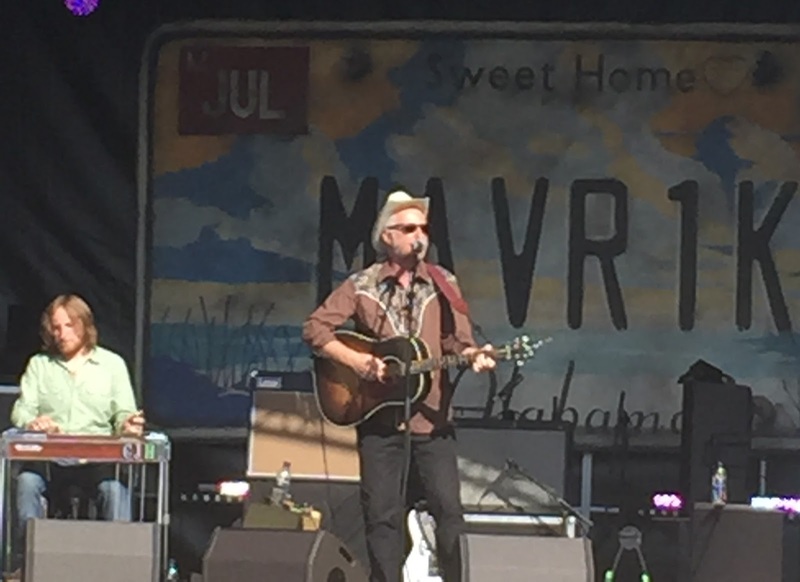 A late change to the schedule saw Billy moved to headline the outside Sweet Home Alabama stage which is the traditional 5 o’clock slot for Maverick. 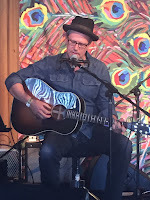 The set was typical Billy Bragg with an Americana slant to represent that side of his musical influence which has surfaced more prominently over the last few years. A Woody Guthrie song, ‘I Ain’t Got No Home’, and a memorable version of ‘Dead Flowers' punctuated the old favourites with the inevitable concluding song. This prompted the thought: when did Billy last sing the chorus of ‘New England’ live on stage. Any concerns about the possibility of this being a lopsided booking in the line-up was answered by a superb set from an artist who is perfectly in synch with the roots agenda. C is for Chastity Brown who was the pick of artists lined up to play the Barn on Saturday evening. Chastity came to my attention a couple of years ago with an advance copy of her album and it was an honour to finally get the opportunity to see her live. 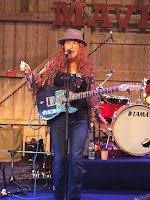 She encapsulates all that is diverse in Americana music and finely weaves her mixed heritage into a musical style rich in country, blues, soul and folk. The three highlights from her set were ‘Solely’, ‘Colorado’ (which gave her most exposure in the UK via a TV airing on Jools Holland) and an exquisite cover of Van Morrison’s ‘The Sweetest Thing’. In these quarters Chastity transferred all the strength from her record to the stage leaving a legacy of a desire to catch one of her full live shows the next time she visits the UK. D is for Don Gallardo, Clubhouse Records luminary and the architect of the brilliant new album HICKORY. Don popped up a couple of times during the weekend, probably most prominent as part of the Clubhouse curated Peacock stage on Friday evening. Friends’ services may have been borrowed to form the band for the evening, but Don showed that he is a class act and is fully deserved of the praise that has been flowing his way since the record’s recent UK release. 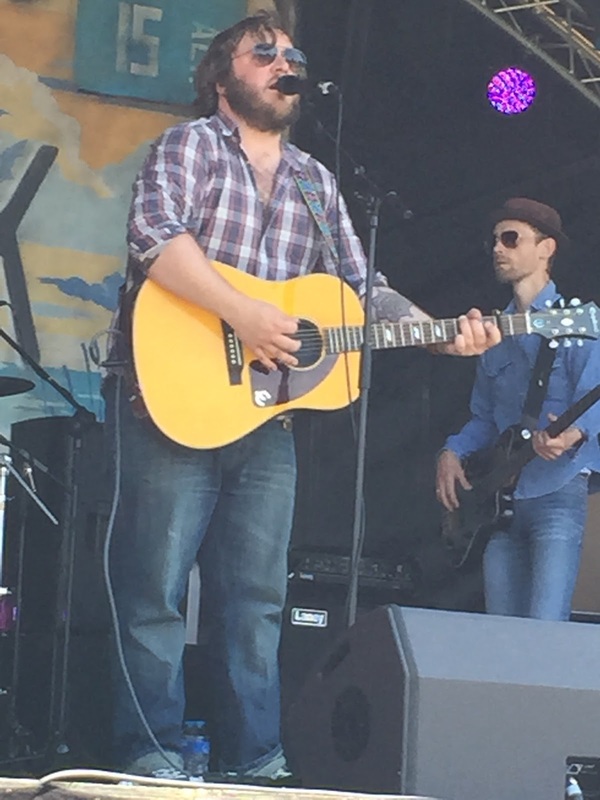 ‘North Dakota Blues’ was the pick of his set on Friday as he epitomised the carefully selected American artist who fits the ideals of the Maverick Festival. E is for Emma Swift on her first performing UK visit and the source behind an exceptional self-titled record which gate crashed the top twenty favourite albums of 2014. This unexpected booking gave Emma heaps of exposure from a couple of limited appearances. Among the four songs she played as part of her songwriter circle fixture on the Clubhouse bill were the superb ‘Woodland Street’ and the outstanding ‘Bittersweet’ which continues to blossom as her signature track. Emma also joined Don Gallardo on stage for a song or two and similarly featured in the festival’s surprise impromptu slot with a duet alongside Robyn Hitchcock, an artist who the organisers were not going to let leave without the invite to share a few songs from his considerable back catalogue. F is the second part of The Black Feathers name, an inventive and highly active UK duo schooled in the art of delivering the spine tingling pan gender duet harmony. 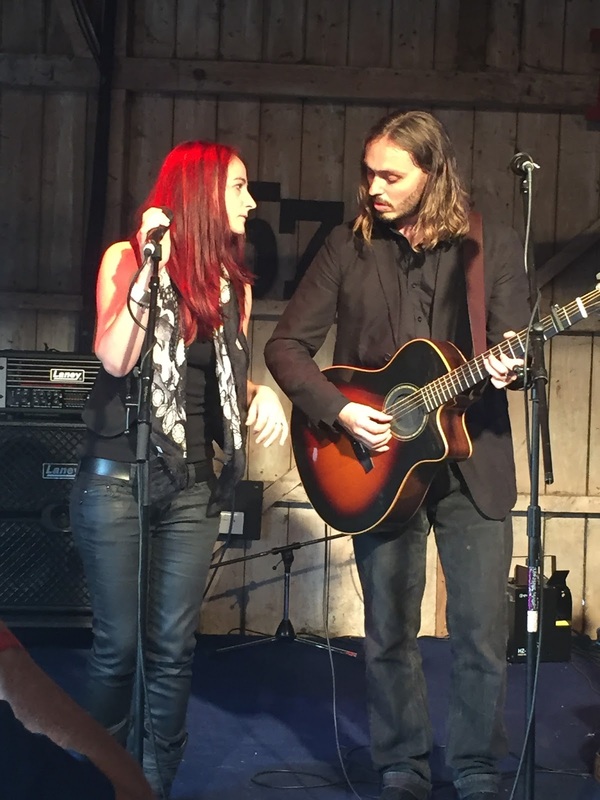 Ray and Sian is the couple in question and they continue to grow their nationwide presence with frequent live dates alongside an EP release which is shortly going to be supplemented by that ever important debut album. 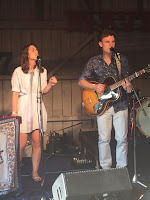 The Black Feathers had the honour of launching the weekend’s proceedings with a Friday evening Barn performance among their appearances and kept the audience’s attention right through to a closing original rendition of the classic song ‘Spirit in the Sky’. 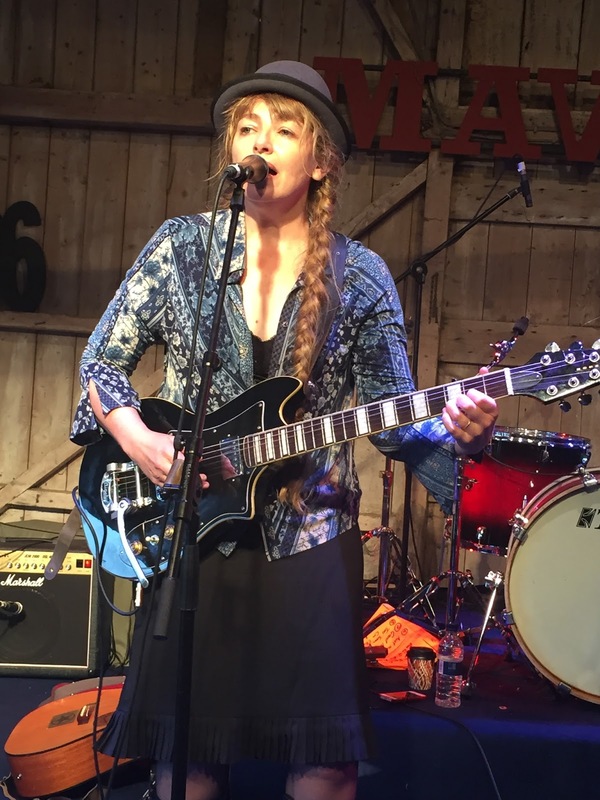 G is the initial letter of American honky tonk artist Gal Holiday and the Honky Tonk Review who played a rousing set to close activities in the Barn on Saturday. On a festival where the deluge of original music towers above the smattering of covers, there is always the exception of a few old favourites to send folks home happy. You may have heard ‘The Circle is Unbroken’, ‘Don’t Think Twice’ and ‘Folsom Prison Blues’ covered many times before, but Gal can be excused for a slice of indulgence as an extensive day of live music drew to a close. H had to be the chosen letter for another Clubhouse band in Case Hardin who played the final and headline band set (if you can call it that for such as egalitarian stable) on the Peacock Stage on Friday. Incredibly this was the first time seeing the quartet live as they rarely seem to hit the Midlands and have suffered from clashes at previous festivals. However there was no such re-occurrence this time as Peter Gow and the boys let rip with a high octane set. Having only really listened to PM from their back catalogue, the live rock sound intensified their impact in surprise portions and it supremely added a ratchetted up finesse to the Clubhouse offering which was eventually closed by a sadly unwitnessed ‘All Star’ ensemble. 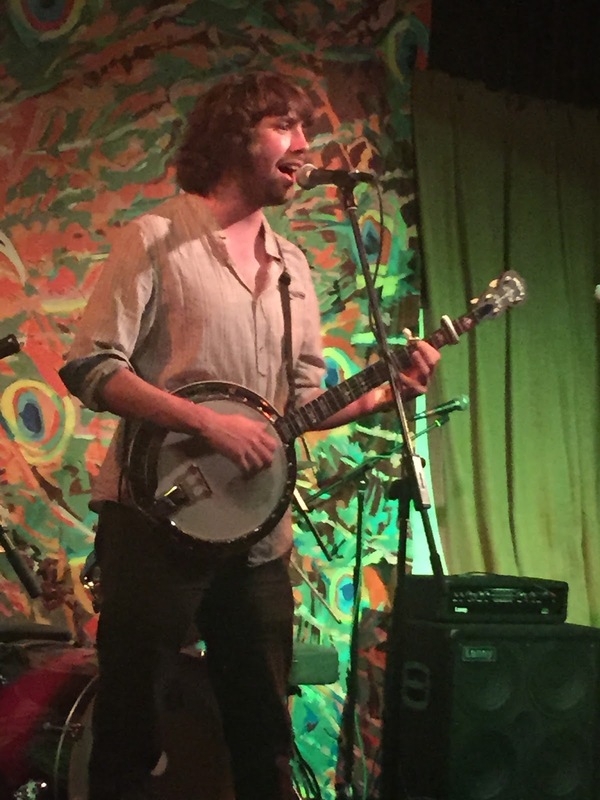 I is in the title of Dan Walsh’s new album INCIDENTS & ACCIDENTS and this was the first opportunity to catch a few tunes live from a record exhibiting some of the finest banjo playing you’ll see in the UK. 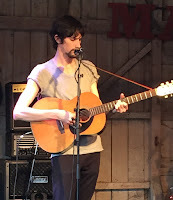 A personal rule of not flitting around during sets was broken to witness Dan for a couple of songs as he clashed with Chastity Brown. However watching his mesmerising playing has made it a new resolution to attend one of Dan’s solo shows which have always seemed to bypass me in the past. There was a few wrongs turned right at this festival and seeing Dan Walsh for the first time was towards the top of this list. 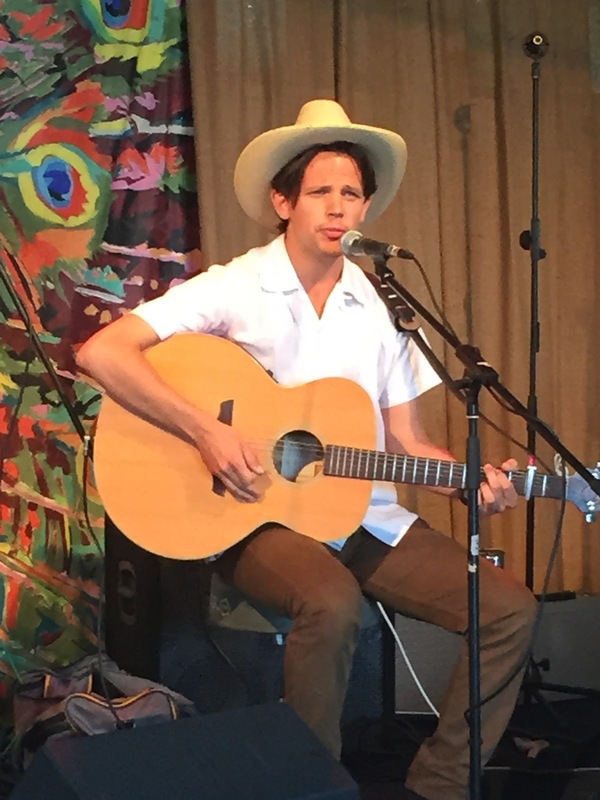 J sees a return to the first name of performers and in particular Joel Rafeal, a veteran US folk singer flavouring the festival with fine songs and many tales from that vast land which sources much of the great music on offer. 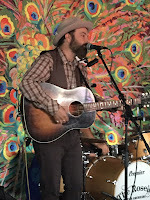 Joel was seen playing a Saturday evening set in the Peacock and projected an immense aura of a songwriter highly active in the folk music scene west of the Mississippi. Flanked by Oklahoma guitarist Terry Ware and the young accomplished UK pedal steel guitarist CJ Hillman, Joel spun many thoughts and observations from his lengthy career. 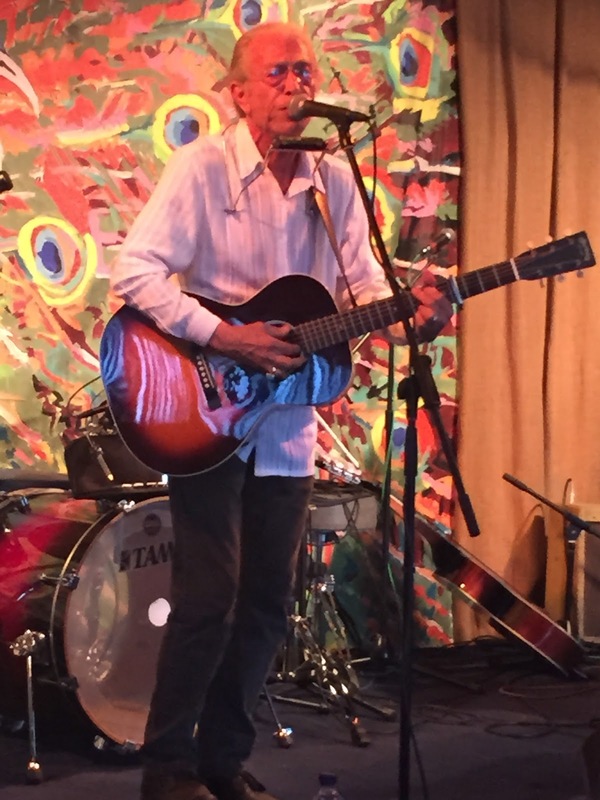 He namechecked other stalwarts of the West Coast song writing community such as the author of ‘Peaceful Easy Feelin’’ Jack Tempest and shared several songs from his own new album BALADISTA including the impressive ‘Old Portland Town’ with the usual accompanying story. 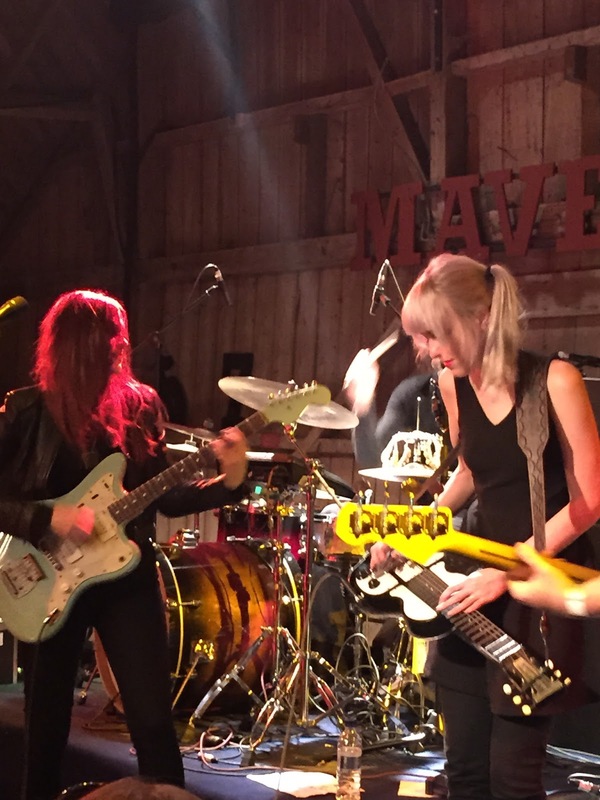 K is for the album title KIN which has been responsible for transforming the career sound of the Lovell Sisters and their inspirational band name Larkin Poe. Megan and Rebecca were returning to Maverick after their inaugural appearance last year. 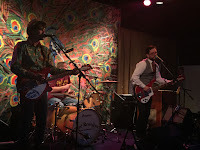 This time they were upgraded to headlining the Barn on Friday night and, with the new sound firmly bedded in, they thrilled a packed venue with an energetic dose of southern gothic rock. 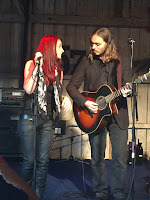 All the now-becoming old favourites from KIN were included in the set such as ‘Don’t’, ‘Jailbreak’ and ‘Jesse’, alongside a haunting version of ‘Bang Bang’ as the encore number. The sisters from Atlanta Georgia continue to grow their presence in the UK via a multitude of diverse tours and with each gig seen live seem to raise the bar of accomplishment. 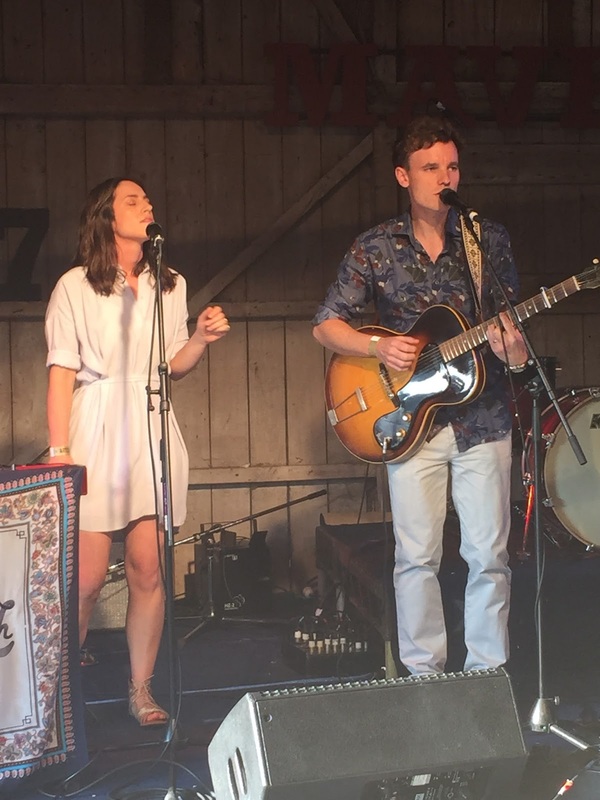 L has a dual purpose in this feature as it is the shared initial surname letter for cross Atlantic duo Lewis and Leigh as well as the effervescent and gutsy US artist Sonia Leigh. Al and Alva sublimely blend the Celtic sound of Wales with the Deep South to reflect their respective homelands in a presentation of outstanding folk influenced music. In contrast to many artists over the weekend, Lewis and Leigh only played a single set in the Barn on Friday, but it was an appearance on the ‘must see’ list as their two EPs have provided endless listening enjoyment and the live experience didn’t disappoint. 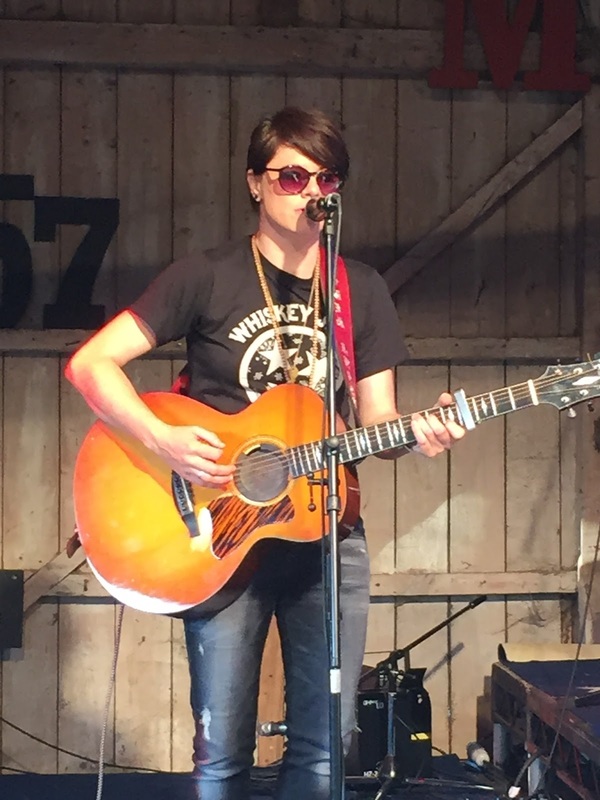 On the other hand, Sonia kept popping up all over the weekend with two Barn sets and an involvement with the Alabama tribute on the outside stage. Sonia has impressed before with her moving rootsy vocals in a band format and this time she transferred her skills to a solo presentation. A slight adjustment to the vocal sound paid dividends for her second set on Saturday as this did not overpower her guitar. 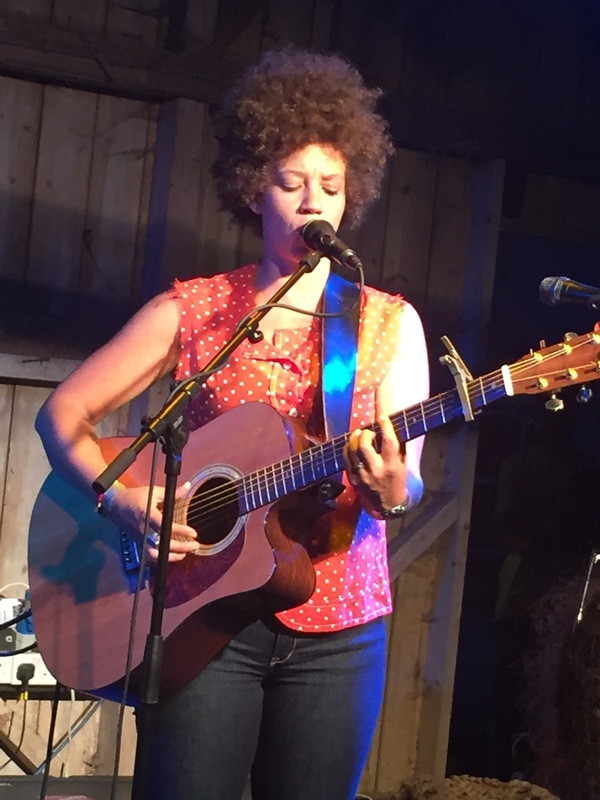 Sonia is the real deal in this house and that raw southern voice was heaven sent for a festival fixated with the sound emanating from the dirt of the American roots. 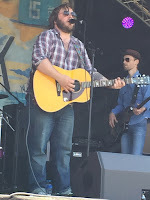 Legends of Country are squeezed into this category by virtue of both their tongue-in-cheek name and outdoor stage set on Saturday lunch time delivering their very English take on alt-country music to a basking audience beginning to accumulate a red tinge in the heat of the day. M is the surname of the second Aussie to flourish at the festival after Emma Swift. Anne McCue was making her first visit to the UK in eleven years and played an acclaimed band set in the Peacock late on Saturday night alongside a stunning solo performance in the Barn on Sunday lunchtime. Having only seen the final live song on the evening, a similar mistake was avoided the following day as Anne presented a selection of tunes from her new album BLUE SKY THINKIN’. 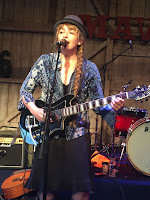 Supplementing her top songs mainly delivered via guitar, was a piece of inventive loop work involving her lap steel as Anne showed what a talented artist she is and why others such as roots icon Dave Alvin have worked alongside her, She was definitely one of the finds of the festival. N sees a slight diversion from the artists on show and refers to the Newport Folk Festival, of which the fiftieth anniversary of the infamous plugging in of Dylan was being commemorated. The documentary from this 1965 event was shown on Saturday morning and was subsequently followed by a Q&A with Joe Boyd who was involved on the day of this monumental event in folk circles. Another US folk icon in Tom Paley was also present to share some memories and this was another example of the festival being fully versed in treasuring the immense history of roots and Americana music. O is the probably the most tenuous link so far, but Oxford is famous for its dreaming spires and subsequently the inspiration behind the name of the Bennett Brothers, Robin and Joe’s, latest and most high profile venture. Armed with a tremendous new album SEARCHING FOR THE SUPERTRUTH and now blessed by the powers of the BBC after their performance on the Andrew Marr Show, The Dreaming Spires are central figures of the Clubhouse Records project and shared their vision of indie-driven alt-country rock to an enthralled Peacock crowd on Friday evening. It is now approaching two years since ‘Dusty in Memphis’ was first heard live and it gets better with each listen. Another outstanding song from this set worth mentioning is ‘Easy Rider’, but anything The Dreaming Spires do at the moment is turned to gold. P has to belong to Paul McClure who acted as compere, host and performer during the Clubhouse Friday night extravaganza. Known for his alluring dry wit and endearing take on honest observational songs, Paul launched the Peacock’s proceedings as co-ordinator of the song writing circle featuring himself, Emma Swift and Simon Stanley-Ward. 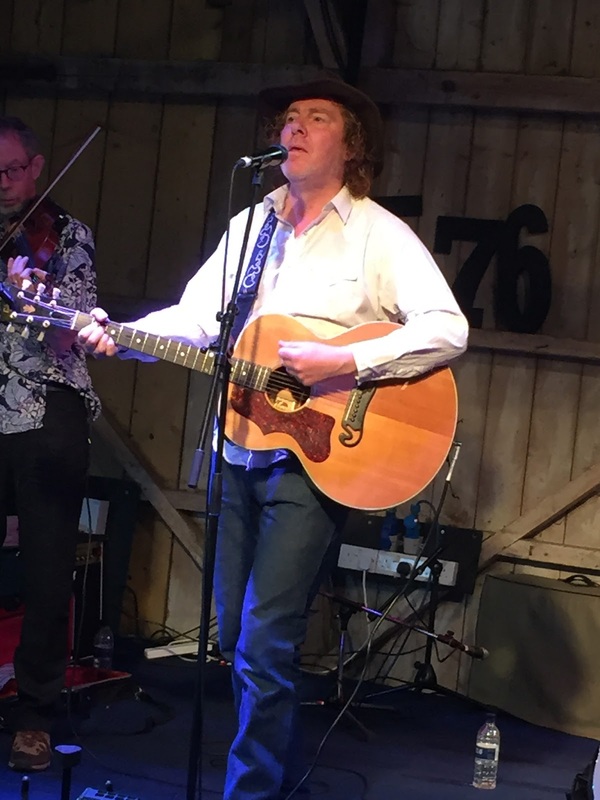 The popular Rutland Troubadour continues to blaze a creative trail on the folk, roots and Americana circuit leaving a memorable experience in his path. As he is a keen observer of the written word, a little message is: keep it up Paul, your presence and work is always appreciated. Q is the first stumbling block on the A-Z highway, so we’ll go no further than to offer the word ‘quality’, of which the high version was in abundance all weekend and is a prime reason why the Maverick Festival is an integral event of the British Americana circuit. R is for Robert Chaney, a young highly rated singer-songwriter who was added to the ‘must see’ list when the line-up was announced. The weather may have been warm and spirits high, but this was not going to deter Robert and his dark murder folk ballads on a sunny afternoon. There is always room in a festival named ‘maverick’ for a little left field deviation and the world is a better place when a couple of folks meet a grizzly ending in a song. The appetite has been whetted from this initial listen to Robert and hopefully it won’t be the last. S is a double entry for the talents of Simon Stanley-Ward who is the final part of the song writing circle which opened the Peacock on Friday. Possessing the most authentic voice in UK country music whilst steering clear of false stereotypes is the trait that can take Simon a long way in the industry. He also matches it with fine songs and like so many artists this weekend, the opportunity to see him live for the first time was relished. It may have only been four songs, but hopefully the fruitful journey of seeing him many times has just begun. Under the commission of something –old, new, borrowed, blue – ‘Please Excuse Me (While I Feel Sorry for Myself)’ from the new album perfectly fitted the new bill. T is for the unmistakeable surname of Luke Tuchscherer and his appearance on the outside Sweet Home Alabama stage on Saturday afternoon. 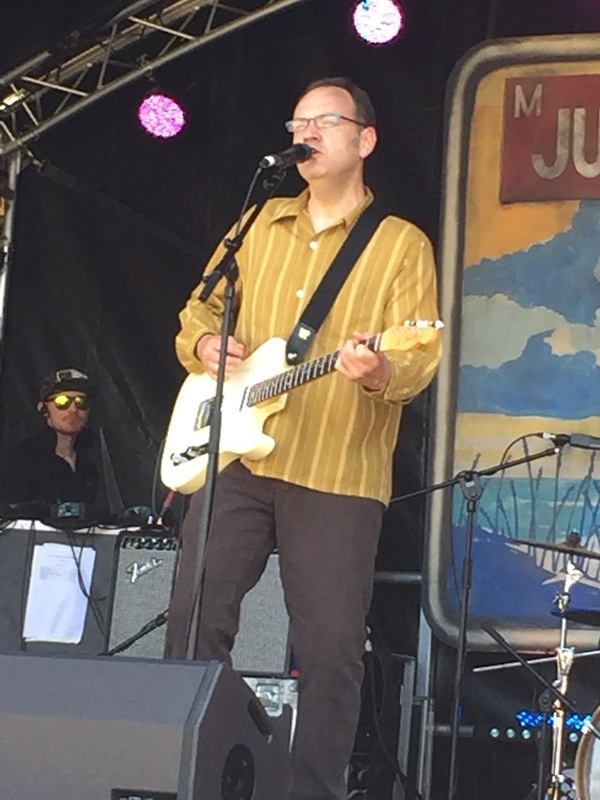 Whilst in a phase from taking a break as drummer in the Whybirds, Luke is forging a decent solo career and for this gig he was backed by his band The Penny Dreadfuls. The set was a good mixture of songs from his latest solo record, old Whybirds numbers and a couple of popular covers, notably The Band’s ‘The Weight’ and Steve Earle’s ‘I Ain’t Ever Satisfied’. Acclaim and recognition for Luke as a solo performer is growing and an appearance at the Maverick Festival did not do this surge of appreciation any harm. U can only be for the nation that inspires so much of the music on show at Maverick and this year the Saturday centrepiece of the festival happened to be July 4th. So it was a case of Happy Independence Day to all artists who travelled from the USA to play at this year’s Maverick Festival. Full apologies to The Ugly Guys as their set was not seen. W is for the splendidly named Welfare Mothers and their top rate frontman Bob Collum. Having reviewed Bob’s latest album at the start of the year and thoroughly enjoying it on many repeat plays, listening to the songs live proved to be the icing on the cake. His duet with Marianne Hyatt on ‘It’s a Good Thing We’re in Love’ is one of the songs of the year and the live rendition on the Sweet Home Alabama stage on the most perfect summer’s afternoon was a joy to behold. At this point the resistance to quote the glorious line ‘I do the jumping when you holler frog’ is withered away and hearing it live brought out an extra smile. Y is for the state bird of Alabama, the Yellowhammer, and a name given to the performance of artists appearing at the festival from this southern state. Debbie Bond, Sonia Leigh, Hannah Aldridge and Lisa Mills were the quartet involved on the outside stage under the banner of Alabama Sweethearts with all the artists getting further slots throughout the festival. Sonia has been already mentioned and Hannah Aldridge was a festival returnee having been such a success last year. 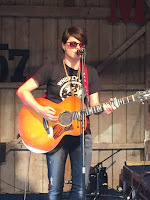 Hannah played a Barn slot on Saturday teatime as well as on the indoor Moonshine stage later in the evening along with Lisa Mills. 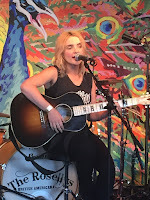 Hannah is a firm favourite here and to an extra delight she travelled up to the Midlands straight after the festival to play a full length gig at the Kitchen Garden Café in Birmingham. 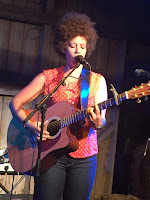 The fourth member of this quartet was Debbie Bond who really shone during her set in the Barn on Sunday morning. 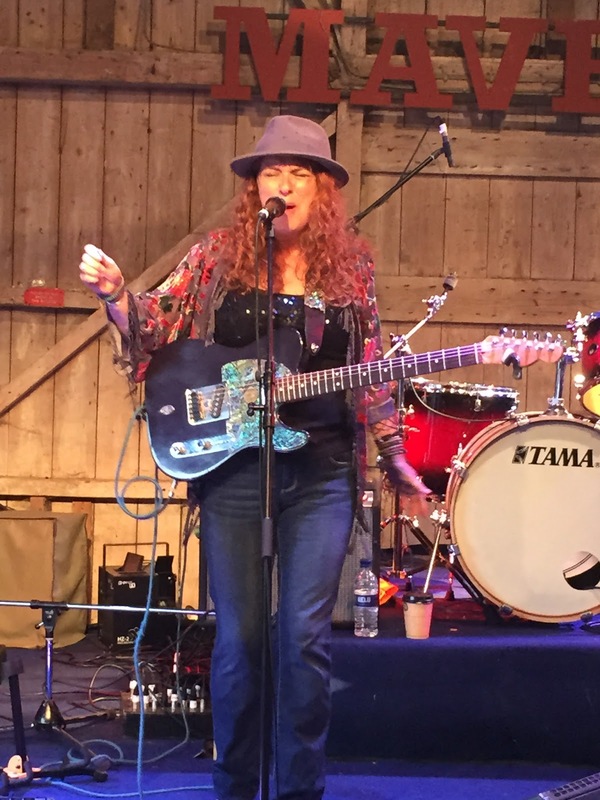 She was by far the most blues influenced of artists witnessed over the weekend and alongside partner Rick Asherson, delivered a highly inspirational set of deluxe music from the thriving roots melting pot of Alabama. Debbie has a string of UK dates over the summer and is definitely worth checking out. 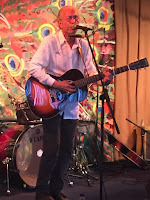 Finally V and X have proved a bridge too far, but there was an artist named Vincent Cross who appeared on the Moonshine Stage on Friday night and could have met the criteria. Alas he was not seen, so that just leaves the letter Z and always the most difficult fit in any A-Z list. Zydeco is the word that comes to mind when considering Americana music and there was always the Zimmerman connection to fall back on. However this concept has probably been exhausted now which leads into the concluding thoughts. When the long journey was made to Suffolk for the 3rd Maverick Festival in 2010, there was little thought that this would become an annual pilgrimage and the first entry in the summer gig calendar. 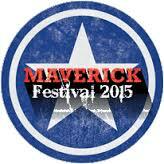 Five years and six festivals later, Maverick has grown up as a festival without growing in size. Long may this status continue and the first weekend in July become the fixed date for the most comprehensive gathering of Americana and roots music in the UK.